Rob Buckner, Chevrolet’s racing program manager, has credited “tireless” work by Chevy and Ilmor and also Team Penske with its first IndyCar street course triumph since 2017. NTT IndyCar Series rookie Colton Herta says his drive in the season-opening St Petersburg race should have been a top five or even a podium finish if he had avoided a crucial error and/or hadn’t been disqualified from the Firestone Fast Six. Felix Rosenqvist, who finished fourth in his first ever NTT IndyCar Series event, has revealed that in the second half of the St. Petersburg race he had a trapped nerve that forced him to drive one-handed. Josef Newgarden, who won the season-opening NTT IndyCar Series race at St. Petersburg, says key to his victory was running two sets of soft-compound red Firestones on a day when his main rivals were “scared” to do so. 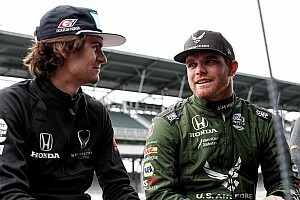 Although runner-up Scott Dixon and third-placed Will Power would have welcomed a second stab at passing St. Petersburg winner Josef Newgarden, both said they welcomed the fact that IndyCar tries to avoid throwing full-course cautions. IndyCar Series racer Ed Jones has been diagnosed with a broken bone in his hand following a heavy crash in the Firestone Grand Prix of St. Petersburg on Sunday. Team Penske-Chevrolet’s Josef Newgarden took command of the IndyCar season-opening Firestone Grand Prix of St. Petersburg with smart pit strategy to defeat Scott Dixon, who muscled past polesitter Will Power to claim second. Takuma Sato and Graham Rahal hinted at Rahal Letterman Lanigan Racing-Honda’s potential for this afternoon’s Firestone Grand Prix of St. Petersburg after going 1-2 in the Sunday morning warm-up. Will Power says he wasn’t expecting to get pole for the IndyCar season-opening Firestone Grand Prix of St. Petersburg, despite this being his eighth P1 award in the last 10 events at the circuit. IndyCar rookie Felix Rosenqvist says his third-place grid position for the Firestone Grand Prix of St. Petersburg felt like “a gift” following his lucky graduation to the Fast Six. Ryan Hunter-Reay grabbed top spot in the final practice for the Firestone GP of St. Petersburg before qualifying for the opening round of the NTT IndyCar Series season. Ryan Hunter-Reay put Andretti Autosport-Honda on top of the times with the first 60sec lap of the weekend, although Ed Carpenter Racing-Chevrolet’s Spencer Pigot joined him in that bracket, as all teams got their first taste of the softer-compound Firestones. IndyCar rookie Felix Rosenqvist put Chip Ganassi Racing-Honda on top in opening practice for the Firestone Grand Prix of St. Petersburg, while compatriot Marcus Ericsson took third. The facts and figures ahead of the NTT IndyCar Series’ 2019 season-opener – the Firestone Grand Prix of St. Petersburg. Motorsport Network's Julia Piquet and Motorsport.com Editor-in-Chief Charles Bradley discuss the upcoming IndyCar season, and place their bets on who they have winning the Firestone Grand Prix of St. Petersburg. 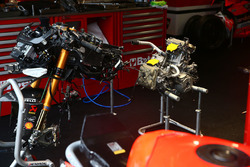 Robert Wickens will return to the IndyCar paddock for the first time since his dramatic crash at Pocono last year at the 2019 season opener in St Petersburg this weekend.